Mumbai, 26th September 2018: SBI Card, the country`s second largest credit card issuer, and Apollo Hospitals Group, India`s leading integrated healthcare services provider announced their partnership to launch the Apollo SBI Card – a first of its kind co-branded credit card in the healthcare segment. Designed to meet the complete healthcare needs of the family, the Apollo SBI Card is a pioneering product that offers an unmatched value proposition to consumers in the health and wellness space. Indian healthcare and wellness market is growing rapidly with increasing demand for affordable healthcare and wellness services and products. Growing health consciousness across age groups together with penetration of healthcare into untapped markets are contributing to increased demand for healthcare. The Apollo SBI card is a first of its kind card that offers exclusive benefits and exceptional value to the wellness conscious consumer on all healthcare spends. Through this partnership, card holders will be able to access services from the extensive Apollo Healthcare ecosystem, which includes the Apollo Hospitals, Apollo Clinics, Apollo Pharmacy, Apollo Diagnostics, Apollo Cradle, Apollo Sugar, Apollo White Dental, Apollo Spectra, Apollo Life Studio, Apollo Telehealth Services (ATHS) and Apollo Homecare. The Apollo SBI Card will comprehensively cover all the health and wellness needs of family members at different stages of the healthcare journey. Apollo SBI cardholders receive complimentary OneApollo membership through which they can enjoy exclusive discounts and savings of upto 10% on health check-ups, diagnostic services, pharmacy products, physiotherapy etc. Through this membership cardholders can avail complimentary services such as consultations, dental screening, home sample collection, counselling with diabetic educator and dedicated relationship manager at Apollo Cradle etc. Cardholders can avail savings and benefits of up to Rs 40,000 through the OneApollo membership. In addition to this, Apollo SBI Card offers cardholders the strongest savings proposition on their healthcare spends through an accelerated reward point structure. Cardholders earn 3 Reward Points per Rs 100 spent at any Apollo entity while spends on lifestyle categories such as dining and entertainment earn the cardholder 2 Reward Points for every Rs 100 spent. Cardholders can avail instant redemption of reward points at Point of Sale at any Apollo Healthcare centre and also redeem reward points for Apollo gift vouchers, thereby enjoying savings on their health and wellness spends at Apollo. 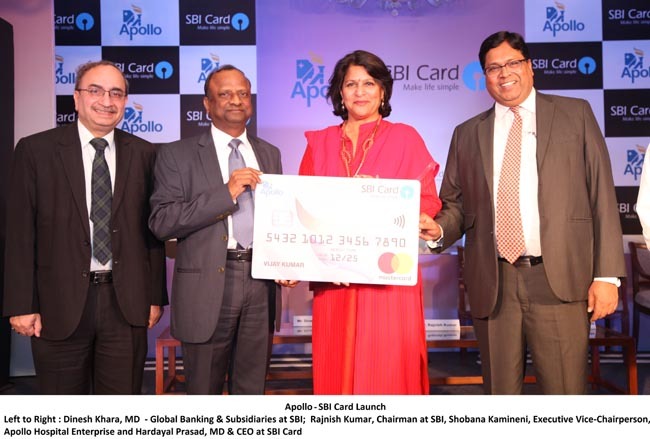 Commenting on the launch, Mr. Hardayal Prasad, MD & CEO, SBI Card said, “We are delighted to partner with Apollo to introduce the Apollo SBI Card, the country`s first cobrand credit card in healthcare segment. Increasing health consciousness and focus on overall wellness is a growing trend among Indian consumers across ages, making Health and Wellness one the fastest growing segments at present. 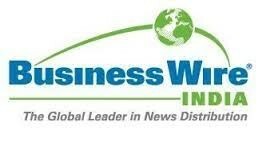 Consumer spends on health and wellness are on the rise. In our portfolio, we have observed health and wellness spends have been growing 30% YOY over last few years. India has one of the youngest populations in the world today. As this population ages, demand for healthcare is set to rise further. With the launch of Apollo SBI Card, we are pleased to bring our consumers a powerful, comprehensive product that takes care of their healthcare needs at all stages of their lifecycle. Complimentary OneApollo membership with discounts and savings of upto 10% on health check-ups, diagnostic services, pharmacy products, physiotherapy etc. Renewal fee reversal on annual spends of Rs 90,000 or more from second year. The card comes at an annual membership fee of Rs 499/ plus taxes.